LEDs are an energy-efficient light source providing homogenous illumination and a constant color temperature. They also save energy, and their lifetime of up to 25,000 hours is longer than that of halogen lamps. The Leica LMD6 succeeds the Leica LMD6500, the Leica LMD7 succeeds the Leica LMD7000. The upright microscope Leica DM6 B, successor to the Leica DM6000 B, is integrated in both new LMD systems. “LED illumination has evolved considerably over the last years. For Leica Microsystems, it is a logical step to offer the LMD systems with LED illumination for transmitted light. But we know that halogen illumination still plays an important role for some users – so both systems are available with a choice of these two illumination types”, says Dr. Falk Schlaudraff, Product Manager at Leica Microsystems. 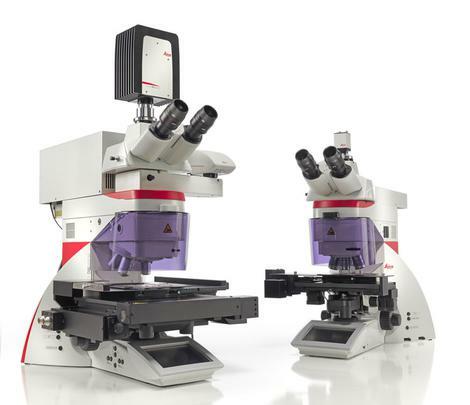 The Leica LMD6 and Leica LMD7 laser microdissection systems enable dissection of a wide variety of biological samples. Specimens ranging from mammalian and human cells to plants and bacteria can be specifically isolated and collected for use in genomics (DNA), transcriptomics (mRNA, miRNA), proteomics, metabolomics, and next generation sequencing (NGS). Both systems are available with either a halogen lamp or an LED for transmitted light illumination. Users benefit from the constant color temperature and the homogenous illumination at all light intensity levels. With a lifetime of at least 25,000 hours, LEDs also save money and effort incurred by light bulb changes. As with the previous versions, both new laser microdissection systems collect samples by means of gravity. This collection method is especially gentle, because users can collect their samples contact-free, no matter what size and shape the material is. This ensures that samples remain free of contamination. Since no additional force is needed for collection and standard consumables can be used for sample collection, Leica LMDs save time and costs.